Star Tech introduces latest 8th gen highly configured desktop PC containing 3.20 GHz up to 4.60 GHz frequency speed of Intel 8th Generation Core i7-8700K Processor, Asrock Z370M Pro4 USB 3.1 8th Gen Motherboard & Intel UHD 630 graphics that fit into your budget. 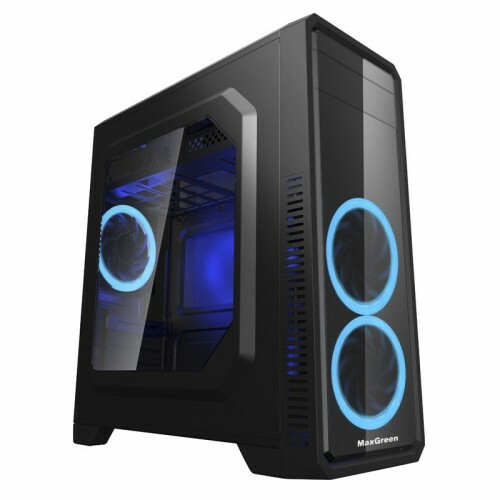 This rig is also equipped with high speed GeIL PRISTINE 8GB 2400MHz DDR4 RAM, Western Digital 1TB Blue Desktop HDD for having fast workability in home & office. This competent configuration includes MaxGreen G561-F Blue Window ATX Casing & 350 Power Supply, MaxGreen USB Keyboard with water drain technology wireless optical mouse and an optical drive Asus DRW-24D5MT 24x DVDRW SATA. We offer the best market price for desktop PC with the facility of EMI in Rangpur, Dhaka, Chattagram, Rajshahi & Khulna. Build your dream PC with best option within your budget from Star Tech PC builder and order online to have the delivery at any place in Bangladesh.